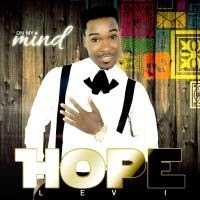 Autograph Records has returned to the spot light with the official release of her latest single from one of her fast growing artist HOPE LEVI and also the 1st runner up from the just concluded Destiny Child Gospel Music Talent Hunt Season 2. This comes months after Autograph Records dropped the debut single of the winner of Destiny Child Gospel Music Talent Hunt J’dess, Which had lots of downloads and airplays on various platforms. “ON MY MIND” is a Nigerian Afro hip hop song with electrifying danceable beats that connects you to heaven, this song is definitely going to be a stunner so brace up. The song features a fast growing artist FEMI FLAME also signed on to Autograph Records. “ON MY MIND” was produced by a seasoned producer GreenWorks. Don’t waste any more time, get this song now on your device and get ready to dance away your sorrows. There’s nothing sweeter than praising GOD………………….ON MY MIND.